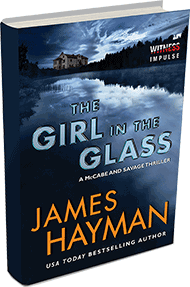 Auntie M is late to James Hayman’s McCabe and Savage series, but she’ll be back for more after reading The Girl in the Glass, its fourth installment. The action fluctuates between Whitby Island, Maine, in a case from 1904 and the tragic death of the lovely Aimee Whitby, a French artist, whose murder remains filled with speculation but unsolved. This is contrasted against the June 2012 murder of her descendant, Veronica Aimee Whitby, and closely resembles the hallmarks of the first, with the action split between Portland and Whitby Island. Veronica is the valedictorian of her school, a manipulative young woman killed on the night of her graduation party. Enter McCabe and Savage, determined to find the killer as quickly as possible. Despite the revelations that perhaps Veronica wasn’t the nicest young woman, she was still only eighteen and at the cusp of her life when she is murdered. But their investigation is thwarted by the different personalities at hand. There’s the dead girl’s father, wealthy to the point of absurdity, her stepmother, and her half sister. There are petty and real jealousies, sibling rivalry, and the kind of complex family situation that you know you wouldn’t want to be at their Thanksgiving dinners. Hayman gives McCabe and Savage their own relationship issue to struggle with as the case pushes forward, under the eye of a a strident media, dogging their heels. One of the highlights of this is seeing the duo at work, balancing their case and their emotions, trying to make sense out of the various strands. The past come into play in surprising ways as the case races to its finale. 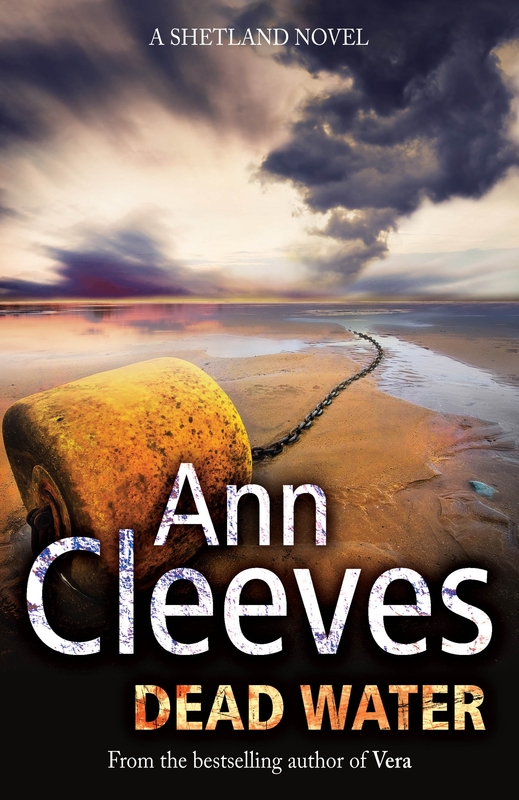 Fast paced and reminded Auntie M of the quick read in one gulp action of a John Sanford novel. In my first career, I was in high technology having started my first company in 1975. It involved constantly flying somewhere. During those trips, I always packed a thriller or two to read. 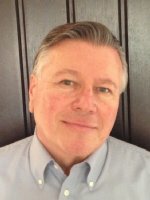 I retired early and was finally inspired to start my second career of writing while sharing a golf cart with a movie producer. It turned out he was playing slow because he was finalizing the writing of a novel. We talked. I told him some stories about the tech industry and he told me they were fascinating and to write them down. I decided to try it and started to learn the craft by going to writer’s groups I found on meetup.com. I am now a Mister with the Sisters in Crime and DesertSleuths. 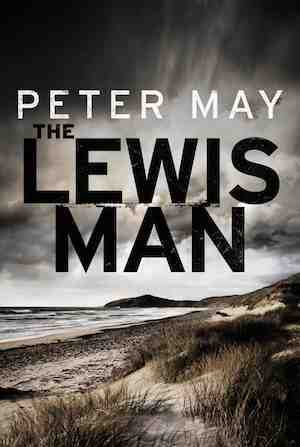 I still find I’m drawn to writing crime fiction novels inspired by real events. •	That one should only write something you truly enjoy, as you will have to reread the darn thing a hundred times before it’s ready. •	That readers love obstacles, suspense and twists. I find myself inspired daily by what I hear on the news and read about in technology blogs. I start by doing research then writing out a rough plot. Then I layer in subplots and decide how my characters will change. I avoid lengthy descriptions. I tend to write short chapters that are heavy on dialogue. THE START-UP for example, started with a news headline about a still ongoing FBI investigation. I was curious. How does someone (Anthony Rizzo) start a computer software company and sell it months later for billions of dollars? Then the buyer finds out that it was all a scam and calls in the FBI. With a diverse Board of Directors and countless lawyers and investment bankers, how does a large tech company get duped? How does the FBI deal with it? And yes, it is still in the news today. That was the plot behind THE START-UP. Against that backdrop I layered in a ‘Hero’s Quest’ character arc of a young man (Frank) facing increasingly ruthless tasks in order to make his share and how it changed him and his girlfriend. •	A former FBI agent told me that his first undercover job with the Bureau was similar to my plot for A Timely Revenge. He told me I got the era, events and motives of the crooks just right. 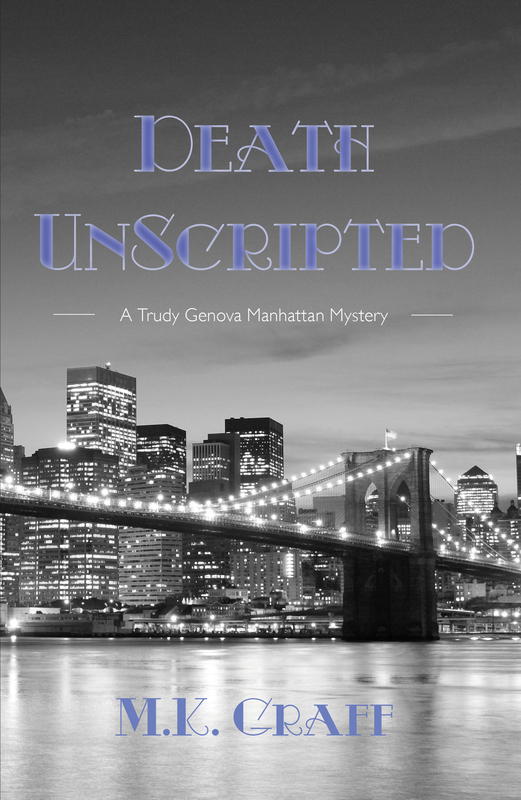 •	A relative of a mob family told me she recommended my books to her family as they were the best portrayal of modern Mafia white collar crime she had ever read. It seems every reader that meets me thinks they know each books’ inspiration and are asking me things like: is Anthony Rizzo (insert name of major CEO)? What happened to Frank and his girlfriend? That was the question I explored in BLOOD RIVALS and NO TIME FOR FOOLS. 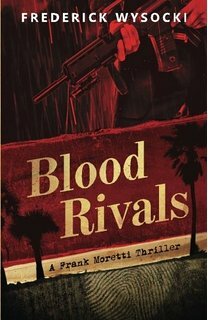 The inspiration behind BLOOD RIVALS came from an interview I did with Fiona Quinn of ThrillWriting.com. I told her about a case where the FBI had mistakenly focused on the wrong suspect from an inconclusive fingerprint. Naomi Dolphin was introduced in BLOOD RIVALS as a young female bodyguard who Frank hires. 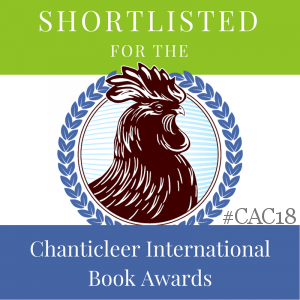 My next novel – THE ARABIAN CLIENT – should be out in a few months and is a prequel of how Naomi went from being a maid and nanny on the island of Anguilla to becoming the bodyguard for a Saudi princess in Saudi Arabia. She struggles to overcome the Islamic culture and terrorists, as well as her clients. THE ARABIAN CLIENT is very different for me since it’s a psychological thriller and is written from a female point of view. It goes behind the headlines and answers the questions about what is really happening in the Middle East. I’ve had Middle Eastern Muslim women review it for accuracy. A critical part of my process is reaching out to friends who seem to know unique ways to kill someone. •	A doctor from Florida gave me three methods of killing someone with a cigar lighter. •	The former helicopter pilot for a USA President explained the best way to crash a jet plane without using a bomb. I did not start out to write more than one book, nor did I want to do a series. Now with prequels and sequels, I find myself in the midst of writing a saga. 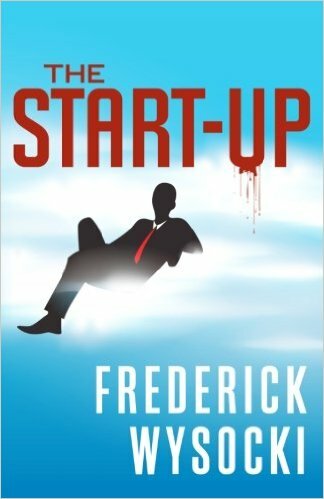 At first, I thought I was writing a single novel, THE START-UP. Readers were all asking me what happens next for the main characters. I had already started on a prequel of Anthony Rizzo – the family crook. That became A TIMELY REVENGE. 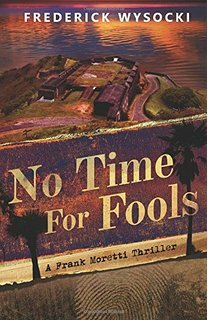 Readers were unanimous in asking me what happened to Anthony’s nephew – Frank Moretti. Thus were born BLOOD RIVALS and NO TIME FOR FOOLS. Both those books feature a female bodyguard – Naomi – for Frank. Readers asked me how she became a bodyguard and that is why I am currently finishing THE ARABIAN CLIENT. It chronicles Naomi, her time in Israel and her first assignment in Saudi Arabia. 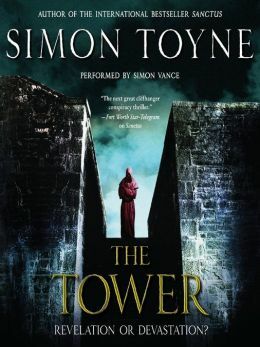 Book 6 (takes place in Russia) will pick up where NO TIME FOR FOOLS left off. As long as my real world readers keep asking me about my imaginary friends, I’ll keep writing. My novels are available on Amazon in print and ebook. 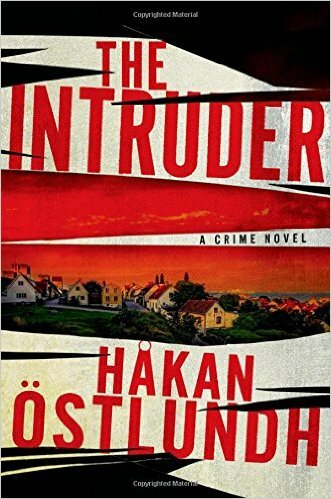 The isolated island of Sweden’s Faro is the setting for Hakan Oslundh’s crime novel, The Intruder. Auntie M finds the Scandinavian writers have different conventions to their crime novels, a more leisurely developed pace that allows for the characters lives to be examined before the hunt for a perpetrator sets in. 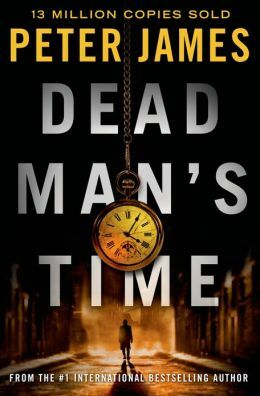 There’s a large sense of setting, too, which looms over the action and in this case, helps to narrow down the suspects when a truly horrific crime sets in. But long before we get to the terrible act to come, there are small incidents occurring to this family with two small children. Malin Andersson is a food blogger; her husband Henrik Kjellander is a professional photographer who travels extensively on photo shoots with glamorous models, those print ads paying the bills and helping the couple renovate the house and outbuildings they’ve purchased on Faro. Their plan is to have an artists colony there, a place where other photographers will gather to recharge their batteries, refreshed by the stark landscape and Malin’s food. The family returns to their home after a four week vacation that has allowed them to rent the house out for decent prices. But immediately upon their return, Malin is frustrated not just by the uncleanliness the last tenant left, but by missing times from the home. There are pieces of glass on the floor, too, found only when Malin steps on one and cuts her foot just as their daughter calls them to her room: someone has defecated in her toy basket. And then Malin notices that family photos are missing, and when she finds one shoved amongst their linens she calls the police in fear, for the photograph has been damage in that all of their eyes have been poked out. Gotland detective Fredrik Broman is sent to interview the couple. Just returning after a lengthy medical leave from fall that almost killed him, he’s finding his footing again at work and at home, concerned he doesn’t have what it takes to work at policing again. These incidents on Faro could be a joke, but Broman takes them as a warning. Then the couple’s daughter disappears at lunch from her school, and the action ratchets up. Henrik has returned to the island under unusual circumstances. Estranged from his mother’s second family, a lawsuit between the two arms of the family seems the obvious place to look for suspects. 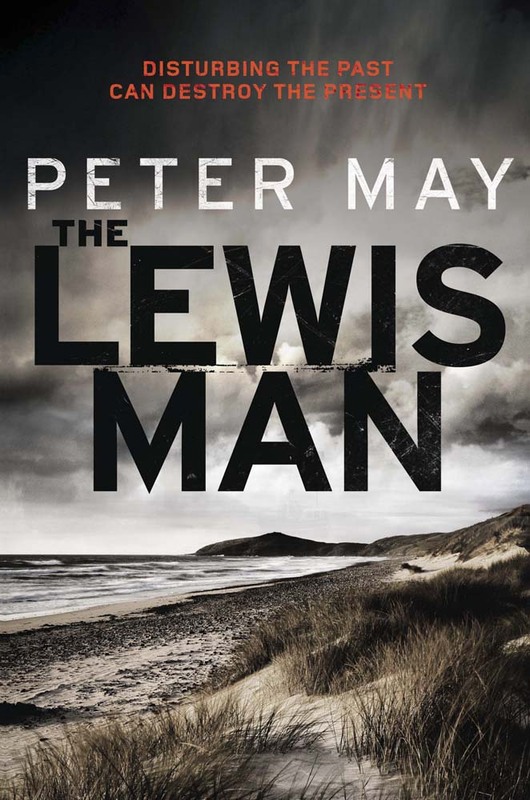 When the incidents turn deadly, Broman and his team will find themselves rapidly trying to save this family as they exhaust all possible suspects, hampered by the remoteness of the setting. The language is lovely; there is a depth of characterization of all of the participants Auntie M enjoys that makes the heartbreak later on particularly poignant. 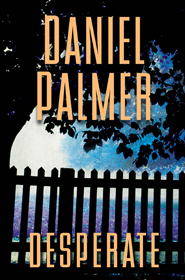 This mystery is rich with the psychology of the participants, filled with secrets of the past, and vastly enjoyable. When I started writing The Rising, I had a very rough idea of where the story was going. I knew what I wanted to happen but had no idea how I was going to make it happen. Getting from Point A to Point Z was going to take some planning. 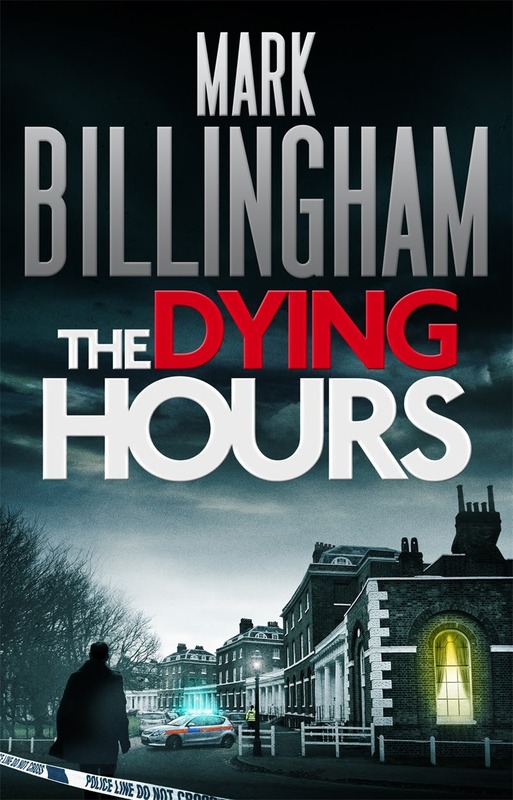 The main character, Detective Ellie Saunders, was a thirty year-old woman with a bad habit of looking for love in a one-night stand. One of those one-night stands turns out to be a co-worker, Jesse Alvarez, a former vice cop with a gorgeous smile. To Ellie’s horror, Jesse is assigned to help with her case. But as often happens with fictional characters, they have a mind of their own. Jesse was not only pushing himself into Ellie’s case, he was pushing himself into my novel! Jesse Alvarez was intended to be a very secondary character. A character’s whose only purpose was to illustrate Ellie’s spiraling out of control personal life. So I gave him a few lines of dialogue. And then a few more. And then a couple more. And before I knew it, Jesse was more than Ellie’s former one-night stand. He was her partner. And trust me, I never intended for Ellie to have a partner. This was her story. I wanted her to face certain fears on her own. I wanted her to come to terms with her life, on her terms. But what was I to do? Every time I tried holding him back, he pushed himself right back in the scene. And then I found myself, and Ellie, in a situation I wasn’t comfortable being in. Not only was Jesse taking over Ellie’s personal life, he was taking over the case. He was becoming her rescuer. Every scene where Ellie faced even a small amount of danger, it was Jesse to the rescue. I wanted Ellie to be strong from the start. I wanted her to be clear-headed and independent. But I also wanted her to be vulnerable. In the book, she has a very tender spot for the little boy dubbed Johnny Doe. Yet, she forms a strong maternal protectiveness over the child. A mamma grizzly at its worst. In another aspect, she has a very real fear of facing the media, stemming from a childhood trauma. Once the “Johnny Doe” case goes public, the media is stirred into a feeding frenzy, forcing Ellie to deal with those fears. I purposely held Jesse back in these instances, forcing Ellie to step-up-to-the-plate and face the issues on her own. When the time came for the final showdown between Ellie and the suspect, again, I left Jesse at home. Although he played an important role, to the case and in Ellie’s personal life—I wanted it to be all Ellie in the end. I wanted Ellie to save herself and not rely on a handsome partner with a gorgeous smile. Yes, Jesse’s around in the end—but he’s not Ellie’s rescuer. She did that all by herself. Lynn Chandler-Willis has worked in the corporate world (hated it! ), the television news business (fun job) and the newspaper industry (not a fan of the word “apparently” and phrase “according to”). She keeps coming back to fiction because she likes making stuff up and you just can’t do that in the newspaper or television news business. She was born, raised, and continues to live in the heart of North Carolina within walking distance to her kids and their spouses and her nine grandchildren. She shares her home, and heart, with Sam the cocker spaniel. 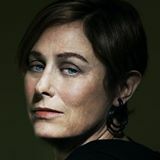 She is the author of the best-selling true crime book, Unholy Covenant. 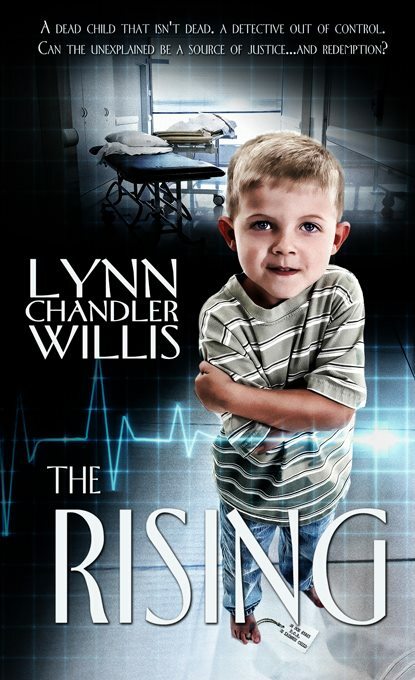 Her debut novel, The Rising (Pelican Book Group, 2013) won the 2013 Grace Award for Excellence in Faith Based Fiction and was a finalist for an INSPY award. 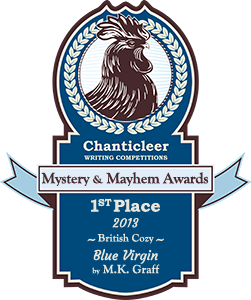 In October 2013, she was the first woman in a ten-year span to be named winner of the Minotaur Books/Private Eye Novel Writers of America Best First Private Eye Novel competition for her novel, Wink of an Eye. It will be released by Minotaur in Nov. 2014. So you have a cool idea for a story. Big deal. Ideas are a dime a dozen. And ideas aren’t stories. To become a story, your idea must evolve into a premise, or what many call “The Central Story Question.” It’s what the story is really about. What if this happened? What if that person did this? What if that dude hanging out at your local coffee shop is actually a rogue undercover agent with a deadly agenda? Or a serial killer? Or is stalking one of the baristas? It is from those two words–What if?—that stories arise. The power of your story’s What If? can’t be overestimated. It is the single guidepost that will keep you on track as your churn out those 100,000 words. A good What if? states the main character, the situation, the stakes, and, most importantly, the central story question. The What If? should be stated in about 25 words or so. Because the What If? is brief, it’s often called the elevator pitch or the agent pitch. It communicates your story in the most efficient terms. We’ve all heard writers respond when asked what their story is about by saying things like, “Well, there’s this guy who lives on an island. And he hates the water. And a big shark is killing people and this is threatening to shut down the town’s beaches on a holiday weekend. And then there’s this other guy who is a shark expert and he has a really cool boat. Oh, I forgot, the first guy is the chief of police.” Yawn. These are of course Jaws, Silence of the Lambs, and The Godfather, respectively. 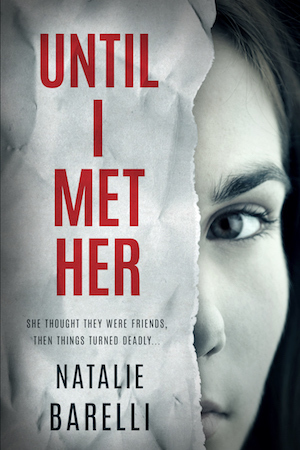 See how these What If?s reveal the protagonist and clearly state the story premise? Read these books or watch the movies and you will see that each scene moves toward answering the story’s What If? Each of your scenes should, too. If not, consider cutting, or at least reworking, those that don’t. Here’s a tip: When your What If? is completed to your satisfaction, print it out and tape it to your computer or the front of your writing pad so you will see it every time you sit down to write. Before writing each scene, read your What If? and ask yourself, “Does this scene help answer the Central Story Question?” If you do this, you will never lose sight of what your story is about. Particularly in the dreaded middle, where so many stories get lost in the jumble of character and backstory and cool dialog and all the other stuff that goes into a manuscript. The What If? keeps you focused and on track. What if a female cardiovascular surgeon must unravel why so many of her post-op patients succumb to bizarre homicidal rages and to do so must dig deeply into her family history? That’s the What If? 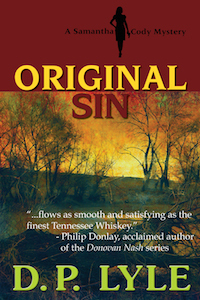 for ORIGINAL SIN, my latest Samantha Cody thriller. Dr. Lucy Wagner was on top of her game. The only cardiac surgeon on staff, a new pediatric cardiac unit dedicated to her, and an impeccable reputation not only put her at the apex of the local medical pyramid but also garnered a few powerful enemies. Such is the nature of jealousy and greed. Turf wars can get ugly. Still all was good until the day old John Scully, the spiritual founder and leader of a local snake-handling church, died on her operating table. Fainting spells, nightmarish dreams, and patient after patient succumbing to some violent psychosis followed, putting her career, and her life, in jeopardy. Aided by long time friend and ex-boxer, ex-cop Samantha Cody, Lucy must reach deeply into her family’s past and into her own soul to find the strength to confront old and very powerful forces she never knew existed. Welcome to Cardiff, Wales, home to psychotherapist Jessica Mayhew and her family. Jessica has it all: lovely home, two great kids, a successful practice, and a loving marriage. Or so she thinks. She’s sharp and notices small details with her clients, yet somehow misses that things are wrong in her marriage when her frequent-flyer husband, Bob, admits to a one-night stand while away on business. Think: frosty at home, and you’d be right. She struggles with picturing Bob and his lover while trying to co-parent young Rose and 16 yr-old Nella. Is her marriage over? 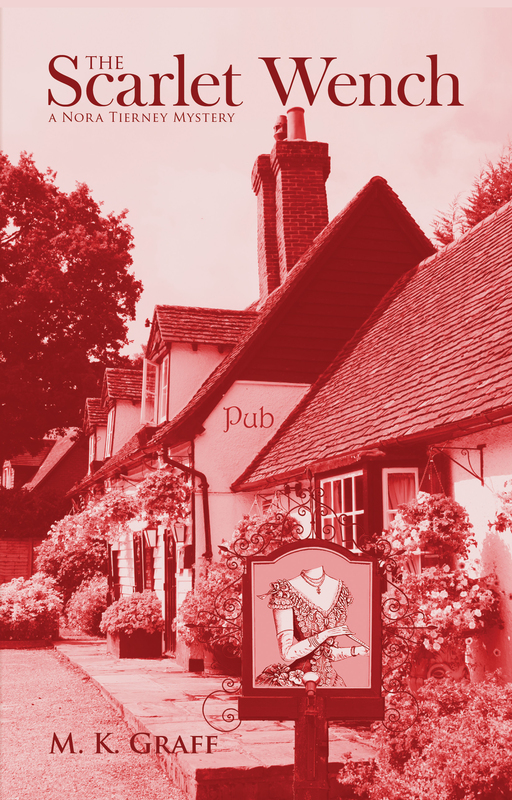 But the thaw for Jessica comes in the form of an interesting new client, actor Gwydion Morgan, who arrives asking for her help with a phobia that may affect his career. The son of Evan Morgan, a womanizing, overbearing man with a string of infidelities to his name, Jessica admires Gwydion’s insistence not to trade on his father’s name and to make his own way. It seems buttons are a huge problem for the incredibly handsome young man, and Jessica feels drawn to him, especially after Bob’s confession and her inability to forgive him. Jessica soon susses out that the young man’s button phobia masks a deeper issue, and Gwydion admits to a frightening and recurrent dream involving being locked in a box and hearing a man and woman fighting. He wakes before the end of the scene, and soon Jessica is pushing him to remember more. She’s convinced the end of the dream is the way to his recovery. When Gwydion’s mother calls and says her son has sunk into a deep depression and she thinks he’s suicidal, Jessica breaks one of her own rules and makes a house call. 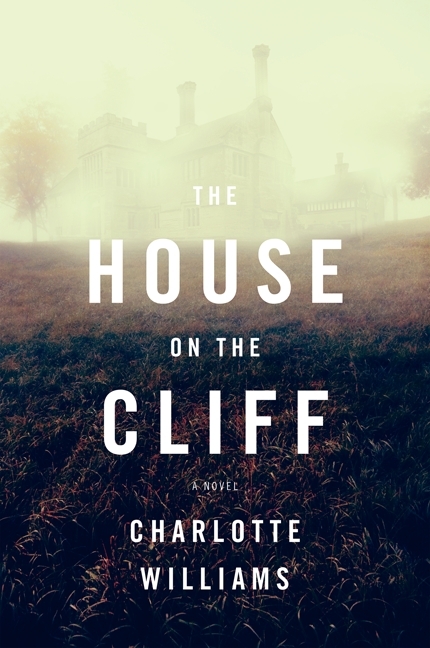 The foreboding Craigfa House reminds the reader of something out of Rebecca, a cliffside Jacobean melange on West Wales. Arianrhod Morgan is grateful Jessica has come to the house. 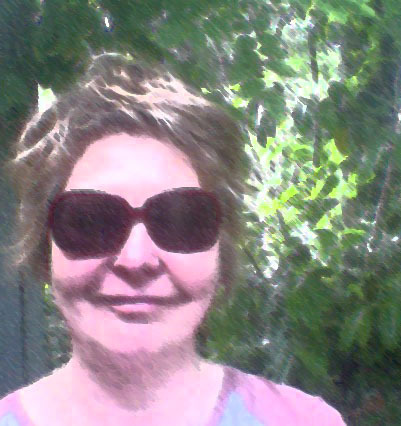 Beautiful but unhappy, the woman has withstood her husband’s ferocious philandering for years. It’s obvious she is concerned about her son. A drowning off their cliff years before is glossed over until Jessica learns that the young woman, Elsa Lindberg, was actually Gwydion’s nanny. Jessica begins to delve into the case, never imagining the repercussions she will dreg up. Her snooping into the young woman’s death will coincide with Gwydion remembering more and more of his dream until he reaches the devastating end. How that will impact Jessica and her family run alongside her own distrust of her husband and her growing attraction to the young actor. Who is telling the truth? And who can she really trust? With her instincts clouded, Jessica tries to find the answers, only to see that the truth may be harder to take than she ever imagined. A powerful debut thriller, with an interesting family behind it and a keen sense of the psychology that Jessica practices. 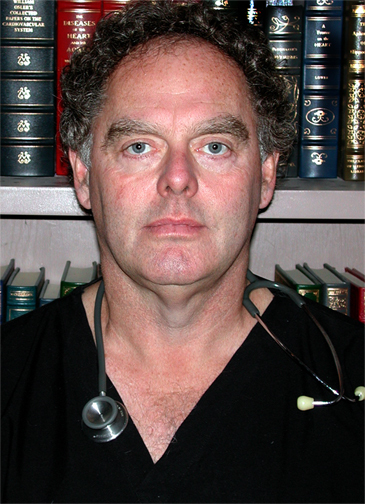 Williams has a long history or writing for the arts in journalism and making documentaries for the BBC. More recently she’s worked in radio drama on original plays and adaptations. Readers will hope she brings back Jessica for round two down the road. Where Did HAVANA LOST Come From Anyway? So…I was talking to my sister on the phone after I finished A BITTER VEIL. I was already about 60 pages into my next Georgia Davis thriller, but something was keeping me from diving back in. I started thinking about writing a World War Two thriller—I’m continually drawn back to that period of time, where some people were heroes, others cowards, and you never knew whom to trust. Unfortunately, I realized right away there was probably nothing I could write about that time period that hasn’t been done better by someone else. Our phone conversation turned to other time periods and settings, and my sister brought up Cuba. As soon as she mentioned it, I started to get that itch—the kind of itch that can only be scratched by delving more deeply into a subject. We both remembered my parents flying down to gamble in Havana. This was when Batista was still in power. I must have only been about 6 or 7, but I remember being jealous that they were going to a foreign country and culture. I wanted to go. Of course, they didn’t take me. 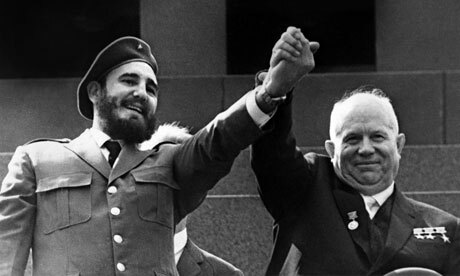 A few years later Fidel took over and Cuba was suddenly off limits to Americans. Soon afterwards it turned Communist, and Communism was our enemy! Because of that, Cuba seemed even more mysterious and exotic than ever, and I wanted to know more about it. Then, of course, came the Bay of Pigs, followed fifteen months later by the Cuban Missile Crisis, which made Cuba even more impenetrable and threatening. So close and yet so far. Finally, and I’m not ashamed to admit it, I recalled one of the Godfather films where Al Pacino (Michael Corleone) and Lee Strasberg (Meyer Lansky) are on a rooftop supposedly in Havana discussing how they’re going to own the island. Shortly after that, Michael sees a rebel willing to die in order to overthrow Batista. Michael changes his mind about doing business with Lansky. That clinched it. 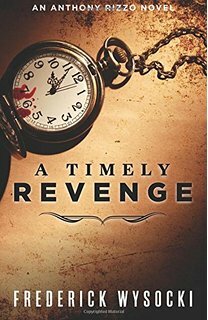 I realized I had most of the elements for a terrific thriller: revolution, crime, conflict, an exotic setting. 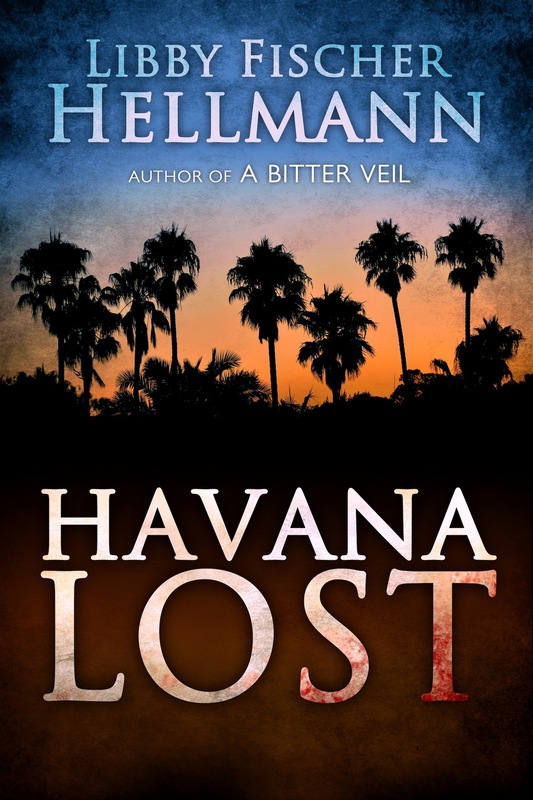 And while I knew it would be a stand-alone story, rather than a series, there is a thematic link between HAVANA LOST, and the two previous stand-alone thrillers I’d written: A BITTER VEIL and SET THE NIGHT ON FIRE. That theme is revolution and what it does to an individual, a family, a community, a country, a culture. There was only one other element I needed. I enjoy—actually it’s more than that… it’s probably an obsession at this point—writing about women and the choices they make. I needed a female character who would have been thrown into the middle of the volatile situation. It would be fascinating to see what she did and how she coped. Once I came up with Frankie Pacelli, the daughter of a Mafia boss who owns a Havana resort, the rest was, as they say, history.